Since the beginning of the AIDS pandemic in 1981, 78 million people have contracted HIV, and 39 million have died. In 2014 alone, 1.2 million people succumbed to AIDS. 70% of all people living with HIV, 25.8 million, live in sub-Sahara Africa. Only 41% of individuals world-wide have access to anti-retroviral therapy. In the United States, the CDC estimates that more than 1.2 million persons age 13 and over are HIV positive. CDC also estimates that 12.8%, or approximately 156,000 of them are unaware of their status. Over 658,000 have died of AIDS since the pandemic began. Once a death sentence, HIV infection is now a treatable (but not curable) condition, manageable with increasingly effective medications. In July of 2012, the FDA approved Tenofovir/emtricitabine (trade name Truvada) to be used as a pre-exposure prophylaxis. This medication, when taken daily, can reduce the risk of HIV infection by 99%. Awareness of Truvada, also known as PreP, is spreading, and people considered at high risk of exposure to HIV are urged to consult their medical practitioners about using PreP to prevent infection. More than three decades ago, the first known cases of HIV/AIDS sparked an epidemic in the United States — ushering in a time defined by how little we knew about it and in which those affected by it faced fear and stigmatization. We have made extraordinary progress in the fight against HIV since that time, but much work remains to be done. On World AIDS Day, we remember those who we have lost to HIV/AIDS, celebrate the triumphs earned through the efforts of scores of advocates and providers, pledge our support for those at risk for or living with HIV, and rededicate our talents and efforts to achieving our goal of an AIDS-free generation. Today, more people are receiving life-saving treatment for HIV than ever before, and millions of HIV infections have been prevented. Still, more than 36 million people around the world live with HIV — including nearly 3 million children. My Administration is committed to ending the spread of HIV and improving the lives of all who live with it. In the United States, the Affordable Care Act has allowed more people to access coverage for preventive services like HIV testing, and new health plans are now required to offer HIV screening with no cost sharing. Insurance companies can no longer discriminate against individuals living with HIV/AIDS or any other pre-existing condition. Additionally, this year marks the 25th anniversary of the Ryan White CARE Act, which established the Ryan White Program — a program that helps provide needed care to the most vulnerable individuals and touches over half of all people living with HIV in America. To further our fight to end the HIV epidemic, my Administration released our country’s first comprehensive National HIV/AIDS Strategy in 2010. The Strategy provided a clear framework for changing the way we talk about HIV, and it offered a critical roadmap that prioritizes our Nation’s response to this epidemic and organizes the ways we deliver HIV services. Earlier this year, I signed an Executive Order to update the Strategy through 2020, focusing on expanding HIV testing and care, widening support for those living with HIV to stay in comprehensive care, promoting universal viral suppression among individuals infected with HIV, and increasing access to preventive measures, including pre-exposure prophylaxis for people at substantial risk of acquiring HIV. Additionally, the primary aims of the Strategy include reducing HIV-related disparities and health inequities, because HIV still affects specific populations disproportionately across our country. Certain individuals — including gay and bisexual men, Black women and men, Latinos and Latinas, people who inject drugs, transgender women, young people, and people in the Southern United States — are at greater risk for HIV, and we must target our efforts to reduce HIV-related health disparities and focus increased attention on highly vulnerable populations. My most recent Federal budget proposal includes more than $31 billion in funding for HIV/AIDS treatment, care, prevention, and research. We are also making great progress toward achieving a greater viral suppression rate among those diagnosed with HIV, and in the last 5 years, we have made critical funding increases to ensure more Americans have access to life-saving treatment. We cannot achieve an AIDS-free generation without addressing the pervasive presence of HIV throughout the world, which is why our Nation is committed to achieving the goals laid out in the 2030 Agenda for Sustainable Development to reach more people living with HIV, promote global health, and end the AIDS epidemic. The President’s Emergency Plan for AIDS Relief (PEPFAR) has helped save lives across the globe and has made significant impacts on the number of new HIV infections by strengthening international partnerships and expanding essential services for preventing and treating HIV. This year, I announced new targets for PEPFAR that aim to provide almost 13 million people with life-saving treatment by the end of 2017. The United States is also committing resources to support PEPFAR’s work to achieve a 40 percent decrease in HIV incidence among young women and girls in the most vulnerable areas of sub-Saharan Africa. This is a shared responsibility, and America will remain a leader in the effort to end HIV/AIDS while continuing to work with the international community to address this challenge and secure a healthier future for all people. Working with private industry, faith communities, philanthropic organizations, the scientific and medical communities, networks of people living with HIV and affected populations, and governments worldwide, we can accomplish our goals of reducing new HIV infections, increasing access to care, improving health outcomes for patients, reducing HIV-related disparities, and building a cohesive, coordinated response to HIV. 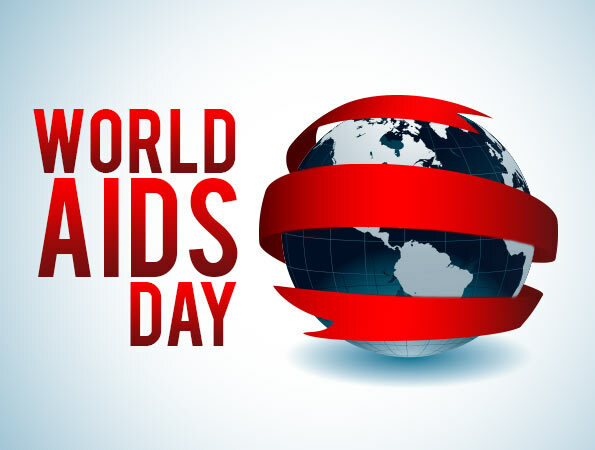 On this day, let us pay tribute to those whom HIV/AIDS took from us too soon, and let us recognize those who continue to fight for a world free from AIDS. Let us also recognize researchers, providers, and advocates, who work each day on behalf of people living with HIV, and in honor of the precious lives we have lost to HIV. Together, we can forge a future in which no person — here in America or anywhere in our world — knows the pain or stigma caused by HIV/AIDS. NOW, THEREFORE, I, BARACK OBAMA, President of the United States of America, by virtue of the authority vested in me by the Constitution and the laws of the United States, do hereby proclaim December 1, 2015, as World AIDS Day. I urge the Governors of the States and the Commonwealth of Puerto Rico, officials of the other territories subject to the jurisdiction of the United States, and the American people to join me in appropriate activities to remember those who have lost their lives to AIDS and to provide support and compassion to those living with HIV. IN WITNESS WHEREOF, I have hereunto set my hand this thirtieth day of November, in the year of our Lord two thousand fifteen, and of the Independence of the United States of America the two hundred and fortieth. Hysteria and anti-LGBT animus have highlighted much of the response to HIV and AIDS over the years. In the 1980’s, it took the death from AIDS of a personal friend of President Ronald Reagan (fellow actor Rock Hudson) to spur his administration to begin dealing with the disease. ACT UP and other groups had to conduct aggressive and constant actions to insure progress in research and development continued. Even today there is still much hatred and fear directed at the gay community over HIV/AIDS. A fundamentalist Christian preacher in Arizona recently promoted the execution of gays as a way to have an “AIDS free world by Christmas” (completely missing the fact that the vast majority of those infected with HIV/AIDS are heterosexuals living in Africa). World AIDS Day reminds us that the pandemic is far from over, but the end is now in sight. With more research, education, and treatment, HIV/AIDS will be defeated.